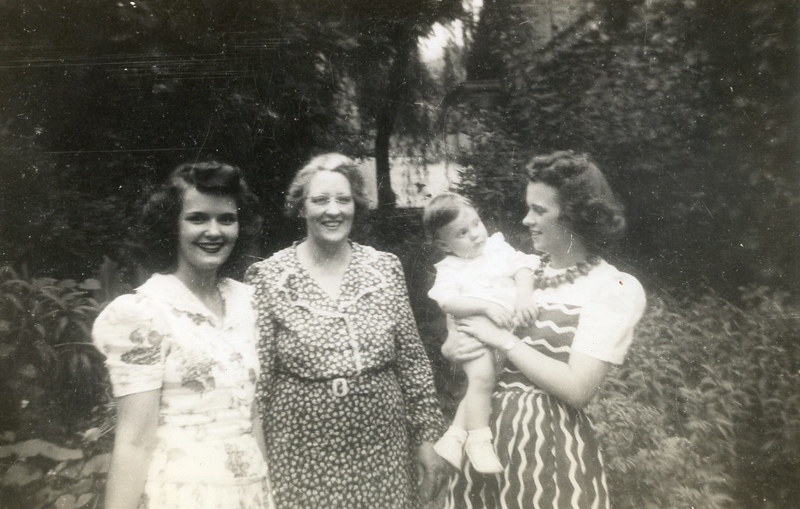 Mamie, Jessie, Bill Roberson and Sara, 1942. “Places to live [in wartime Greenwood] were so scarce. One afternoon a good-looking lieutenant came in the office looking for an apartment or a room. We did not have anything so I just took him home with me since Big had one room upstairs she was wanting to rent. Big was always wanting to rent a room if she had an empty one. She had already put someone in Bama’s room. Shelly McArthur was the lieutenant’s name, and he alternately asked me or Mary to go to the show. Mary was still in Itta Bena teaching but came home on weekends. 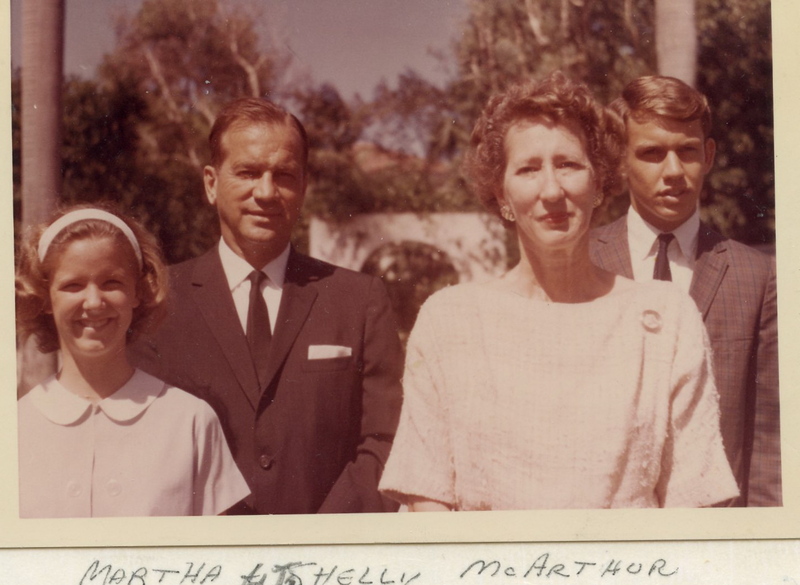 Martha, his wife, came after a few weeks, and they found an apartment. We just loved both of them and kept up with them through the years but never saw them again. In 1985 something apparently happened to Martha because our letters and cards went unanswered and our many telephone calls were fruitless. Let’s consider this scenario. You’re a soldier, likely of the reluctant sort, and you’re shipped far from home to a cobbled-together airbase in Greenwood, Mississippi, which is a dot on the map so small that your worried parents and wife have to pull out a magnifying glass to find it. The base is new and incomplete and one of the yet-to-be-arranged details is a place for you, the lieutenant, to hang your cap. So you motor over to Greenwood, spot the City Hall, wander up to the Chamber of Commerce office and hope for the best. The first face you see is Sara Evans’. She’s sorry to tell you that there are just no apartments to be had in this small town and you begin to wonder just how this is going to work. But, Sara being Sara, she takes one look at your sad (and handsome, that helps) face and bundles you out the door, across Main Street, a block down East Washington and through the doors of Greenwood’s Welcome Wagon Central, AKA the Stott House. The red carpet is rolled out for you, even if they won’t give you an ashtray, and your bond with these hospitable folks is not broken for decades to come. I am of the mind that there should be a statue of Sara in front of the Chamber of Commerce building. Simple kindness, as much as industry and commerce, is the key to a community’s success, and I believe we’ve forgotten that simple fact.